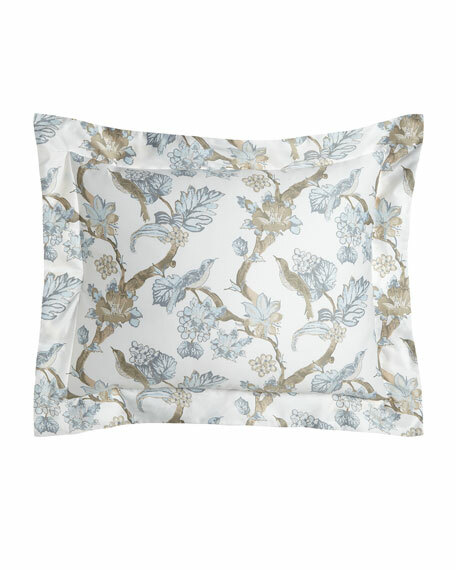 Made of cotton with blue and taupe bird and floral print. 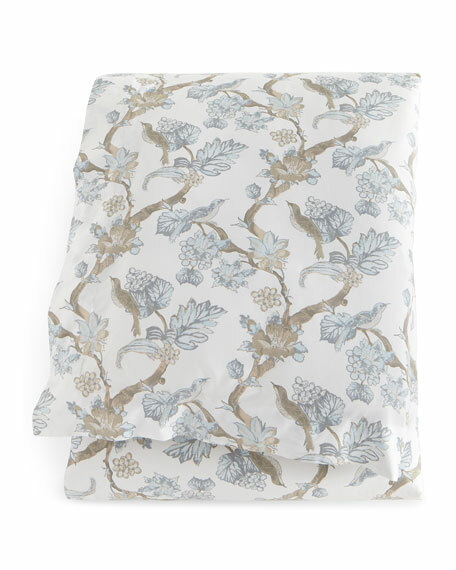 Set includes full/queen duvet cover and two standard shams. 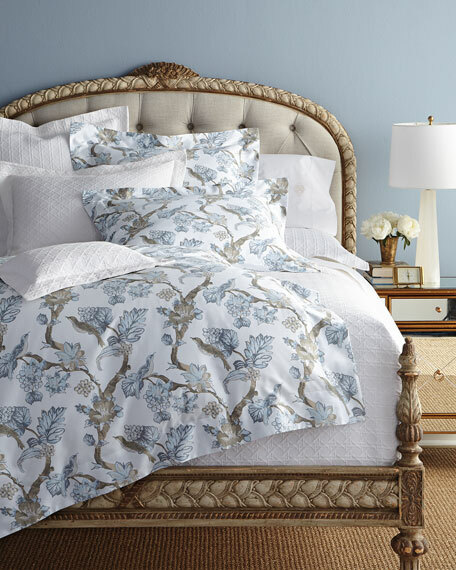 Shown with this collection: Marcus Collection bedding.